I’m such a stickler when it comes to preparing my steaks. The very reason probably lies on the fact that most steaks are a little pricier compared to other readily available meats out there. And as a mother, I just didn’t want my hard-earned money to go to waste! Secondly, I always get that gratifying success once I smell that distinct smoky taste from my charcoal steak. 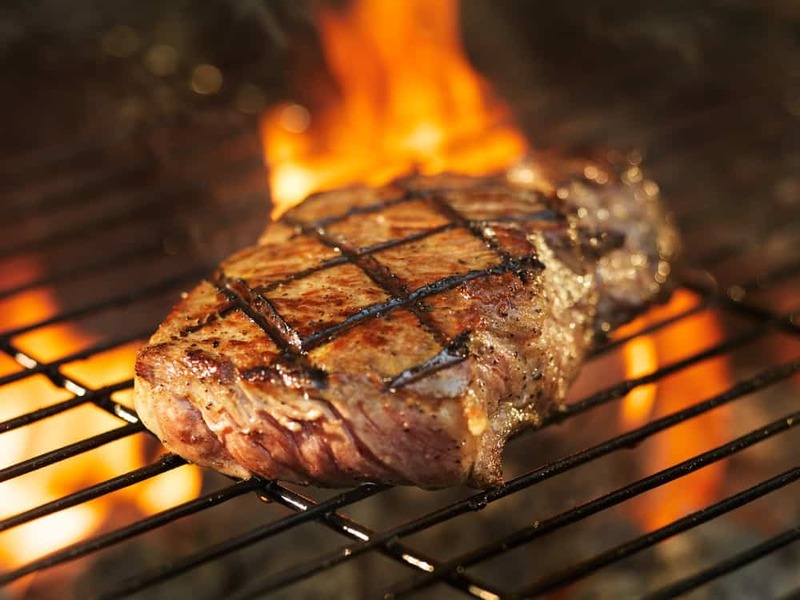 Throughout this article, I’ll be telling you the things you need, along with how to set up and grill your prized steaks. Also, I’ll be sharing some of my family’s amazing tips on how to cook any kind of steak on a charcoal grill. I’m going to be honest here. I’m not going to preach as to which type or size of steak I’d like to recommend over the course of this discussion. This boils down to the reality that there are many types of steaks that give different tastes and possess different qualities. As such, it’s just a matter of preference as to which steak you’d choose. Please ensure that the meat is already thawed by the time you're cooking it. 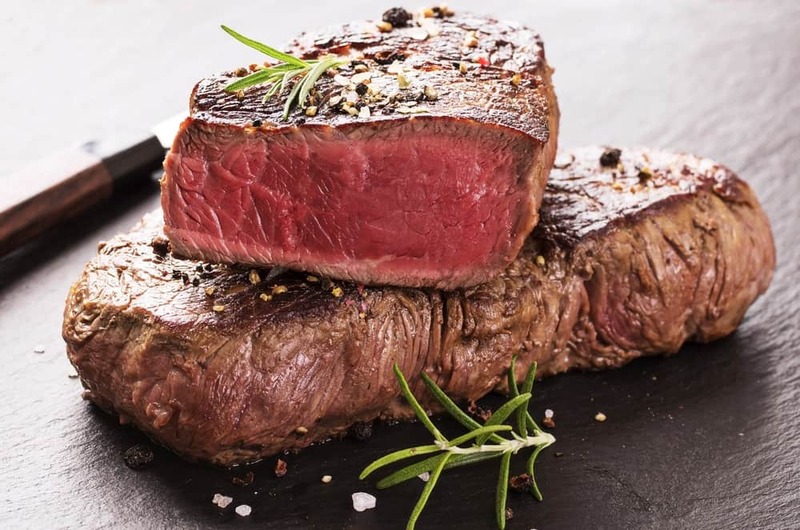 If your steak is frozen at the time of the cooking process, the steak’s outside will be burnt while its inside will be raw — an unappealing combination you just don’t want to deal with. I would usually defrost my steak through my microwave if I feel like I’m running out of time. That should work for you as well. I’d recommend a charcoal grill that's equipped with a bottom grating. This feature will elevate the coals from the bottom of your grill. The grill should also be armed with a valve at the bottom so in that way, it allows air to come from the bottom. In effect, it is easier for you to start the fire and cook. When it comes to charcoal, I would usually spend for the quality ones. You just can't afford to go with the cheap ones when grilling. The reason being is that choosing the cheaper ones will usually result to an hour of lighting them. 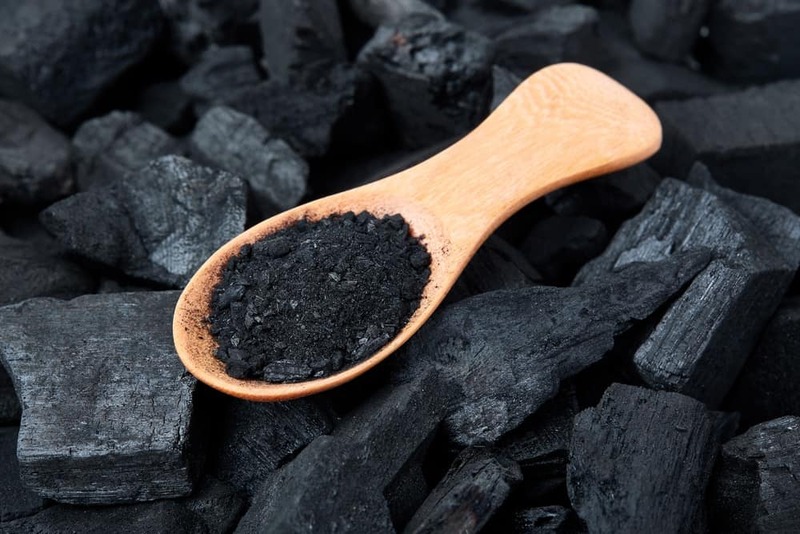 You don't want to starve yourself or your guests just trying to get the charcoal to work. This is very much self-explanatory. I heard your uncle is a fan of this and should have one in his pocket. In case your charcoal bits would act up, this fluid would come in handy. You want to let the coal burn for a few minutes though, before putting the steak on the grill because some lighter fluids give off a bad smell. When it comes to tongs, I would often choose the ones with an ergonomic lock system and tong heads that would never fall off as I grab the bigger meat. This flavorful combination of kosher salt and freshly cracked pepper has always been my go-to seasoning when I do my steak on a charcoal grill. It’s essentially a mixture of a variety of spices, herbs, and flavors. You can add them over the steak’s outside to enhance its flavor in the crust. Here’s another ingredient you can add after salt and pepper — a bit of garlic! These are a mixture of oil, an acid, and herbs. They have the uncanny ability to penetrate the steak’s outer layer with flavor. 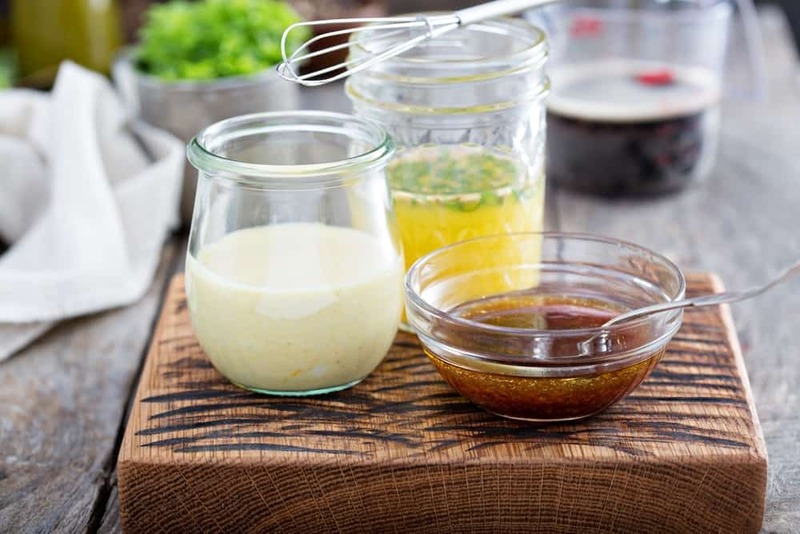 If you want to whip up your own marinade instead of buying a ready-made one at the store, have a ratio of 3 parts oil to 1 part of acid and any aromatics that you have at your disposal. 1.) Open both of valves of your grill. 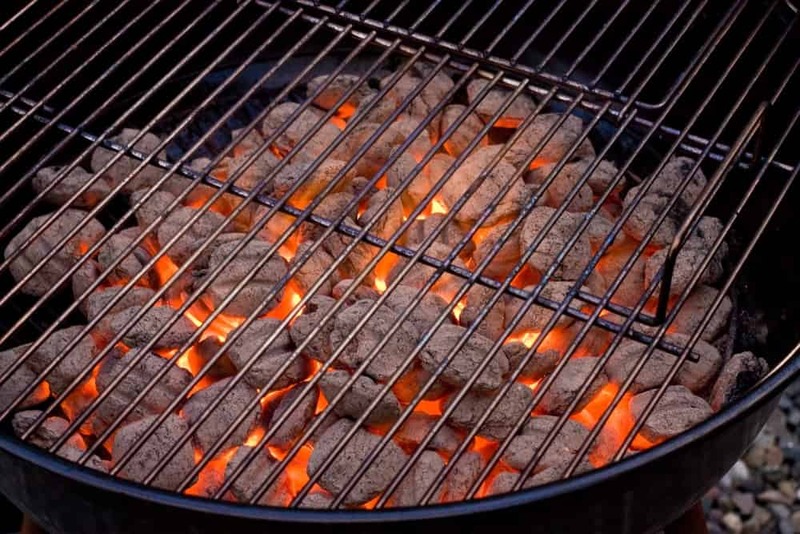 Pour in some charcoal into the grill on top of the bottom grate. I’d suggest creating a charcoal that is shaped like a pyramid and has a base of about ten inches. 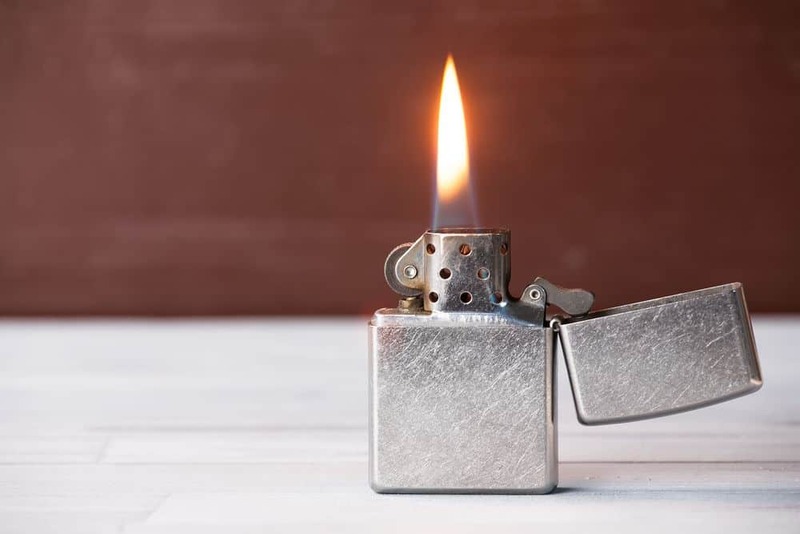 Use the lighter fluid and spray it on your charcoal before you light it. Use just enough charcoal inside the grill and never use up all of your lighter fluid in one grilling. 2.) 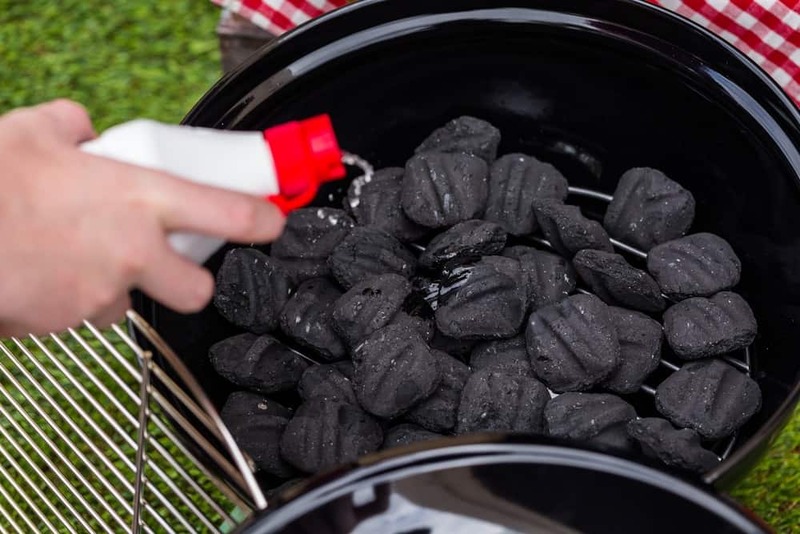 As soon as the charcoals become white around the edges, topple the pyramid using your spatula or tongs. Spread them evenly throughout the grill. You can now place the top grating for you to either clean or heat it up. When your charcoals turn white and you see the flame disappearing, then you may start grilling. 3.) Sear the outside of the steak a bit. When the grating is hot, put the steak on without the top on for two minutes on each side. After you’re done drying or withering each side, place the top on for about five minutes on each side. As such, it is now okay for the grill to start smoking when the top is on it. 4.) You can resume with another batch of seasoning. Put on the same batch of seasoning you doused on your steak when it was still raw. Put the lid back on and wait five minutes. 5.) The next step would depend on your steak’s thickness. Mine usually falls on the “inch-on-inch-and-a-half-thick” thickness. If you share my measurements, cut into it slightly to check if it’s done. Most medium to medium rear steaks will have these visible “little pinks” on the inside. For well or medium-well steaks, cook them until you don’t see any more "pinks” on the inside. 6.) For particularly thicker steaks, turn and season them again. Close the lid for another five minutes. Repeat the fifth step.Note: Now that there are no specific times for cooking or grilling your steaks, it’s imperative that you check your steak from time to time. With this, you’ll be ensured that you won’t be eating an overly rare meat which may bring illness. 7.) Kill the fire in your grill. Close both the top and the bottom valve. This step should naturally extinguish the flame. Usually, it would take about an hour to cool down your grill. If you must, check it by tapping the side ever so lightly so you won’t hurt yourself. I’d suggest keeping your grill outside your home or in a permanent place in your backyard. If you don’t have one, try pouring water on top of these charcoal bits before placing them in a bag for disposal. 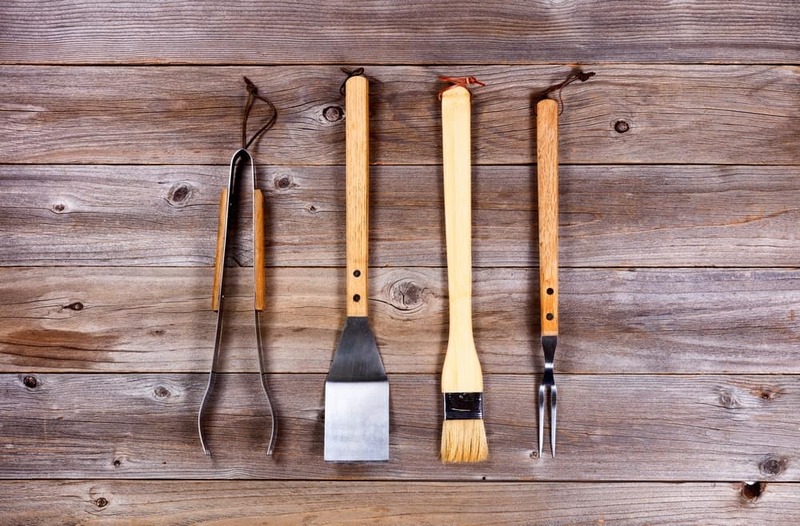 Before putting your grill anywhere, please make sure that it has cooled off and that everything is tidy. 1.) I would always take my steaks out of my refrigerator and allow them to sit for about 20 minutes before the actual grilling process. I find that when you do this, steaks would cook faster and more evenly. What’s more? This allowance will also make and hold your seasoning a little better. 2.) Before putting them on your grill, rub some salt and pepper on your steaks. Do this for about 15 minutes to allow the salt to dissolve and flavor the meat properly. For cuts of meats that are of lower quality, simply use your favorite sauce. 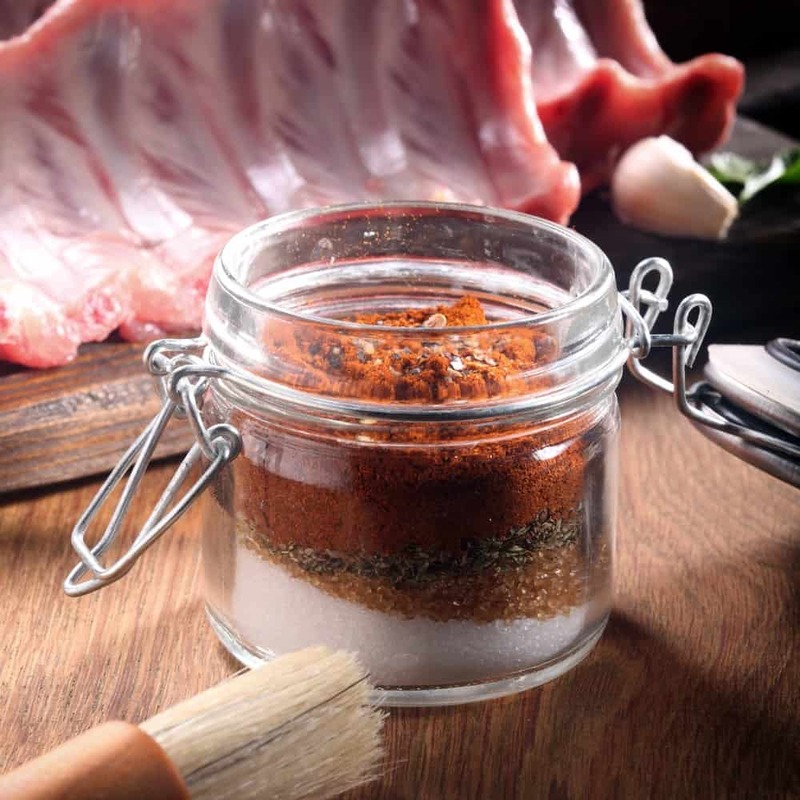 On the other hand, salt and pepper would do for higher-grade cuts of meat. 3.) 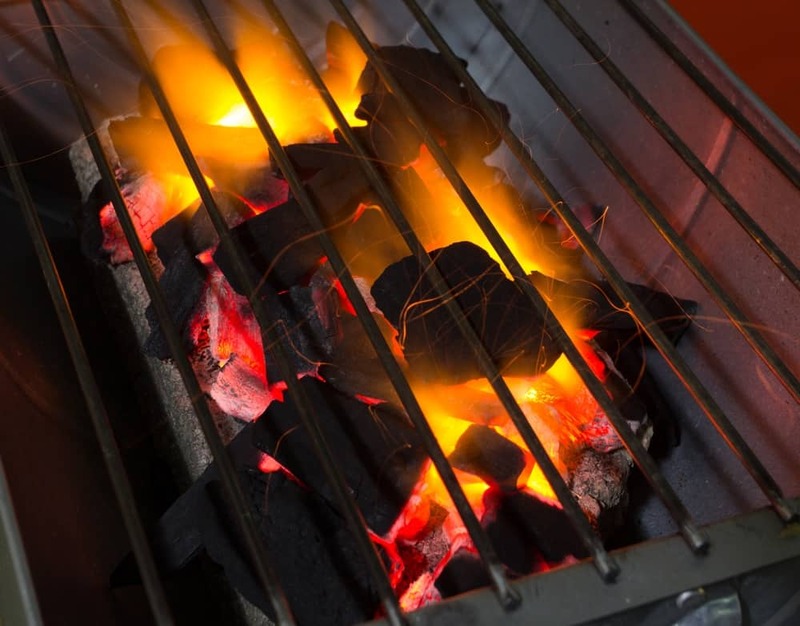 Your charcoal should be set within a hot zone for direct heating. For indirect heating, the charcoal should be situated in a medium heat zone. Both of these should be used for cooking your steak. 4.) The steaks should be put in a hot zone. Let them sit there for about two minutes. After that, you can give them a quarter turn. After another two minutes, you can flip the meats over, but it is crucial that you don’t place them in the same spot as this area is considerably slightly cooler now. In the new spot, let them sit for two minutes. Perform a quarter turn and then place them in the indirect heating zone but not directly over the coals. In this way, you’ll give them a crispy coat along with that highly-sought sear marks! 5.) You can continue grilling over the indirect heat depending on the “doneness” you’re trying to achieve. Flip them only once. I’d recommend the use of a meat thermometer so you could monitor the progress of each and every meat. A delicious charcoal-grilled steak shouldn’t be that difficult to achieve. With basic knowledge in outdoor cooking and the right attitude to match, you should be able to enjoy Friday barbecues with friends and family. The equipment and meat you should be choosing also matter as these will provide you with a slightly different way of grilling them. Ultimately, the secret to grilling your steak on a charcoal lies mostly on your patience and timing. If you feel like sharing your grilling experiences, please write them all down below. Also, if I’ve missed something, let us know. It's always fun to learn something new!